Enjoying sports on a competitive level is always fun and challenging. But there are plenty of winter sports that can be enjoyed as family events. Leisure ice skating is one of the most popular winter sports that can be enjoyed as a family event. In Canada, there are plenty of public skating rinks that are open to the public. Some of these are indoors, but there are plenty outdoors as well. It is a common occurrence for the whole family to set out for a couple of hours of skating on the weekend. Some of the outdoor rinks have lighting so the skating can be enjoyed at night as well. A family can arrange to enjoy this particular winter sport at any time during the winter months. There are plenty of ski resorts that offer day skiing events. Or some chalets can be booked for a weekend stay. 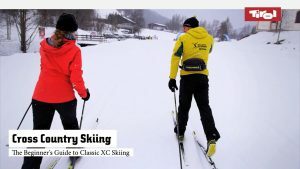 There are some events in cross country skiing that are formally arranged as a family event. Some of these have been taking place year after year for a long time. There are a lot of city dwellers that don’t have easy access to some of the winter sports. But, they do have an opportunity to travel to some of the outskirts of the city where they can. A good example of this is snowshoeing. Many trails are used for summer activities that can also be used for a fun and exciting snowshoe excursion. With there being so many public places to enjoy ice skating it also means that a family can enjoy a good old fashioned game of ice hockey. In fact, for some homeowners who have a large backyard, they will create their own ice rinks for family use. Another winter sport that could be added to the list of winter family entertainment is tobogganing.